Would car seats for special needs benefit your child? The term “special needs” can refer to many different physical or behavioral challenges. Autism, for instance, is a spectrum disorder with issues that can range from minimal to severe. Some kids with special needs may do just fine in a conventional car seat. But others may be much safer in an adaptive seat designed to meet their specific challenges. Whether your child can benefit from an adaptive seat or not should be determined between you and your child’s healthcare team. Generally, there are a few situations in which a child can truly benefit from a car seat for special needs. Some children exhibit disruptive behaviors with their disabilities. They may be more prone to unbuckling their restraints. For instance, autistic kids often have challenges with hyperactivity and may not understand that it’s not safe to be unrestrained in a vehicle. Special harnesses or vests can keep them buckled in safely for the car ride. These types of restraints have buckles that are much more challenging to unbuckle or even have buckles that are positioned behind the child. There are many physical challenges that affect children. Some are only temporary, but still require special restraining options. Sensory issues – Some kids with autism may feel better with a tight fitting restraint than the lighter fit of conventional car seat straps. Specialized riding vests can hug them tightly or even have weights to help them feel more secure. Lack of motor control – Kids with cerebral palsy or other motor control challenges may not be supported well enough in regular booster seats. They may need to be reclined and need extra head and trunk support to protect their spine and keep their airways open. Spina bifida – Children with this disorder often have hydrocephalus (fluid in the brain). They may have larger heads as a result, meaning they must keep their heads at a proper angle. They may even to lie flat in special seats called car beds. Premature infants – Babies born before 37 weeks gestation are prone to various physical issues such as apnea, bradycardia or oxygen desaturation. They may need a car seat with a very low minimum weight or even a car bed so they can lie flat. Lower-extremity casts – Children with hip or long-leg broomstick casts need more legroom, so they need either a car bed (for little ones) or a car seat with shallow sides or even a car vest. Does your child have medical conditions that are hard to accommodate in a conventional car seat such as an infant with a respiratory, spinal, or abdominal issue or a child with a hip cast? Are you worried about lifting your child into an adaptive car seat with all of the supports it comes with? 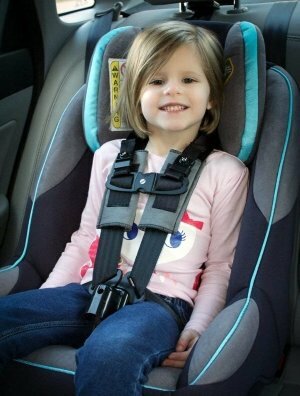 Does your child need extra head support or cannot easily remain in an upright position? Do you need the adaptive car seat mostly for long drives or for quick trips? Does your child need extra support to stay centered in the seat? 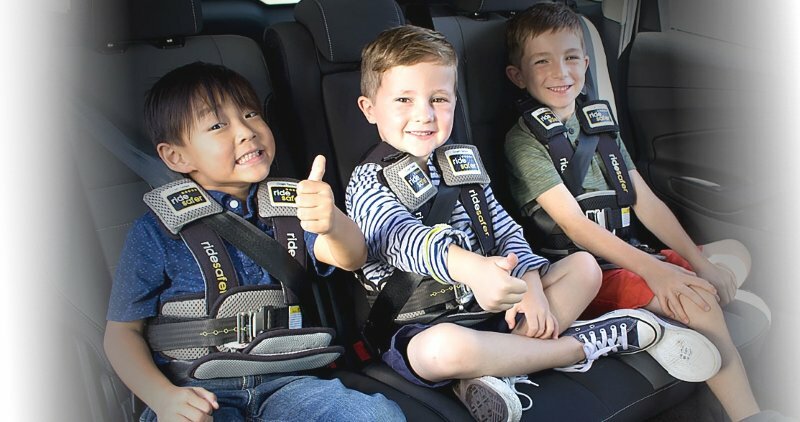 Does your child tend to unbuckle him or herself while you’re driving or have any sensory issues that make typical car seat harnesses uncomfortable? What is your child’s current weight and height? The same basic rules apply to adaptive car seats as they do conventional car seats. If your child is under two years old, he or she should be rear-facing (unless they need to lie flat in a car bed). You should keep them rear-facing for as long as possible, according to new recommendations from the American Academy of Pediatrics. Children are much safer in rear-facing seats. This is especially true for kids with poor muscle control or other physical needs. Only switch to a forward-facing seat when they’ve outgrown the height and/or weight limit of the rear-facing seat. Once the child is ready to move to a forward-facing seat, if you need more support than a conventional seat, there are several adaptive seat options. One such option is the Ride Safer Delight Travel Vest. Designed to fit kids from 30 - 60 pounds, the Ride Safer is great for special needs kids who tend to unbuckle their seats. It’s also good for kids who are tall but light for their age and can be combined with a backless booster seat for better seat belt support. There are two versions - one with a tether and neck pillow and one without. There’s very little price difference between the two. It comes in small and large sizes and 3 colors (black, gray, and yellow). There have been no known recalls on this product. 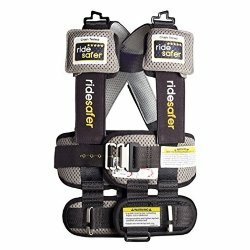 The Ride Safer is equipped with a “Houdini” buckle that cannot be unbuckled at the clasp until the waist belt is loosened. There is an “easy egress” feature that ensures a child won’t be trapped in an emergency. The internal harness system is wide and padded to absorb more crash force than a seat belt alone. It positions the seat belt properly, keeping your child from tucking it under his arm. This is a very versatile seat and can be used with any child that is big enough for a booster seat. It can save a lot of room in the backseat if you need multiple restraints. It’s also a light and portable option for rental cars, taxis and Ubers. The Ride Safer isn’t FAA approved...yet. The manufacturer is reportedly working on an attachment that will allow it to be flight safe. Also, the buckle system can be challenging to figure out for adults, not just the kids. Unlike older versions, this one is not a full vest, but more like a full-torso harness, which may not provide a tight-hugging sensation that some kids would prefer. By far, the main issue parents had was with unbuckling the “Houdini” buckle. It’s child-proof but can be adult-proof until you figure it out. Our suggestion - watch videos like this one: https://www.youtube.com/watch?v=wmlD0C61_bY. But we definitely recommend it for kids who tend to unbuckle their seats and for a super easy restraint option for rental or public transit travel. Car beds – For babies who are premature, have cardio-respiratory issues, lower-body casts, omphaloceles and other abdominal defects that prevent the use of a conventional harness. Rear-facing seat for babies with omphaloceles – Specially designed to not restrict the abdomen on babies with this condition in which some of their internal organs are outside the body due to a hole in the navel. Convertible seat for kids with hip casts – Can be configured for various positioning needs. Large medical seats – For children and adults 102 – 135 pounds who need more positioning that what a seat belt can offer. You should work with a physical or occupational therapist to find which of these would be the best for positioning your child. Adaptive belt-positioning booster seats – These use the vehicle’s seat belt for restraint. The harness is simply to provide better support and positioning. These sometimes come with accessories such as wedges, foot props, lap trays and bases that turn. Like anything considered a medically-necessary device, adaptive car seats and restraints can be very expensive. They may run anywhere from $150 to well over $1000. Some insurance plans and third-party plans such as Medicaid may cover them. Special needs car seat loan programs may be available through your local hospital, health department, Easter Seals, or Safe Kids coalitions. Since they are specialty seats, many of them are only available through the manufacturer or a health equipment vendor and not retail stores. Whatever the case, make sure you know exactly what you need first by consulting with your pediatrician and/or physical therapist. Then you can narrow down your search for the more budget-friendly options. In some cases, children in wheelchairs for instance, you may need an adapted vehicle. Consult with your pediatrician or physical therapist to decide which vehicle modifications you may need. Then find a reputable dealer that will ensure the vehicle meets all safety standards for seat belts and tether anchoring locations. If a wheelchair is needed, the vehicle must have room for the chair to face forward, a 4-point tie-down system and a 3-point seat belt for the child. It also needs proper restraints for all occupants. Modifying or buying an new adapted vehicle can cost between $20,000 – $80,000. Manufacturers may offer rebates or other payment plans. Insurance may also cover some costs, while social programs could help you apply for grants as an option. In many cases, a conventional car seat will work fine for your special needs child. For instance, children with only mild behavioral or sensory challenges may be able to stay buckled at all times, so they won’t need a Houdini buckle. In other cases, you may be able to purchase aftermarket accessories such as the Merritt Chest Clip Guard and/or Buckle Guard to use on conventional car seats. Keep in mind, however, that car seat manufacturers rarely approve of using any aftermarket products on their seats. There’s a good reason for this, as adding any extras increases the chance of user error. However, one could argue that for a family that can’t afford an adaptive seat, it’s a better option than having to worry about your child unbuckling himself as you’re driving down the interstate. The worry alone can cause a driver to be distracted, and distracted driving is a leading cause of car crashes. So, what do you look for in conventional car seats for special needs children? Recline options – Seats with 2 or more recline options allow better positioning for children with respiratory or muscle support issues. Extended rear-facing – Look for seats with high size limits that allow rear-facing up to 40 pounds and 40 inches or more. Higher harness weight limits – Children who can’t sit up well, who have poor head/neck control or behavior issues should wear a harness to keep them in place. Look for those with limits of 65 pounds or more. Low/shallow sides & no deep armrests – Children with broomstick or hip casts need seats with very low sides for proper leg positioning. Deep armrests can make this nearly impossible. Extra padding/positioning – For children with missing/undeveloped limbs or those who are smaller than average, seats with extra padding and adjustable harness and crotch positions help provide a better fit. High back and deep sides – Children with poor trunk control need extra support to keep them centered on the seat so they don’t slump to one side. Whatever you decide when buying a restraint for your special needs child, make sure you’re working with your child’s healthcare team to ensure you’re getting exactly what he or she needs. You can also consult the NHTSA and local car seat technicians to check for recalls and ensure the restraints are properly installed. ❮ Is the Chicco Fit2 infant car seat a good choice for your family? Find out in our 2019 review.